Col. Chris Hadfield and Sgt. Grade 10 Blackville student Brett Duffy contacted retired Canadian Astronaut Chris Hadfield before Hadfield arrived in Fredericton on April 21 as a guest speaker for UNB's Andrew Initiative on April 21. Duffy sent a letter to Hadfield, who was the first Canadian Commander of the International Space Station, asking if the cadets from his regiment could personally meet Hadfield after the event. In his letter, Duffy said that he thought meeting Hadfield would be an amazing opportunity for local people to have a chance to talk to such an inspiring Canadian. Duffy said he was "was very excited and surprised" when he received a response. Hadfield spoke at the Andrew Initiative event at the UNB Fredericton Campus last Monday. Duffy and other cadets from the area attended the event. Hadfield spoke about his experiences in space and walked the attendees through what life in space was like. Duffy said that the overall experience "was very fulfilling and enjoyable." Duffy has been a member of the 679 Blackville Royal Canadian Air Cadets for almost five years. His rank in the regiment is Sergeant. 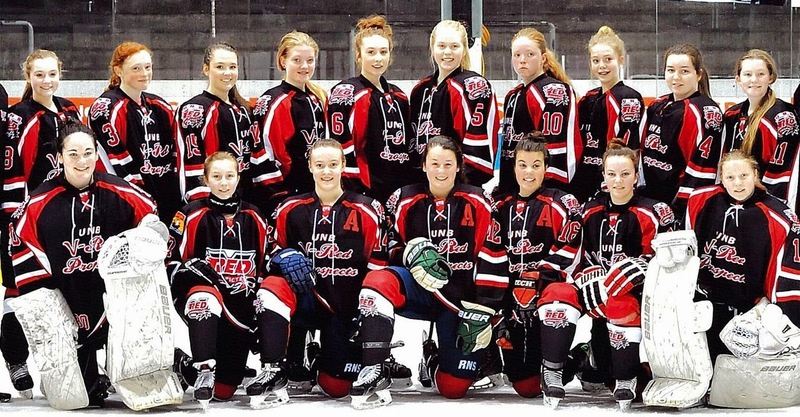 Grade nine Blackville School student Erin Moody and a group of other young female hockey players from the Maritimes went to Geneva, Switzerland during the week of April 6. They were there to participate in an International Hockey Tournament called the Geneve Hockey Challenge for youth under 15. This is the first time any team from the Maritime provinces has participated in this challenge. This challenge features teams from Europe's biggest countries including Russia, Sweden, Finland. etc. According to an interview, by Terry Seguin on CBC Information Morning-Fredericton, David Peterson set up the V-Red Prospects program seven years ago. Most of the players who went to Geneva participated in this program. Erin said she was very excited when she found out she was invited to the challenge. Playing on an Olympic hockey rink was her favourite part of the trip. Grade 12 Blackville School student Larissa Bryenton is one of six student athletes to be selected to receive the NBIAA Raymond Légère Sportsmanship Award (Northern Conference). The award recognizes student athletes who display outstanding sportsmanship towards team-mates, coaches, opponents and game officials. It is presented to student athletes by the New Brunswick Interscholastic Athletic Association. Larissa will be honoured for her accomplishment at the 10th Annual NBIAA Sportsmanship Awards Banquet scheduled for Wednesday, May 13 in Fredericton at St. Thomas University. 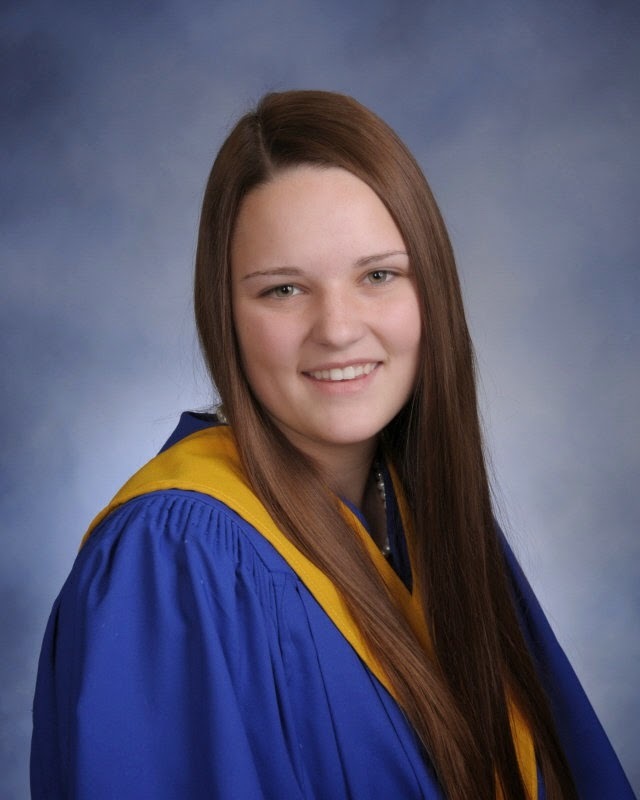 Larissa graduates from Blackville School in June. She is enrolled in the Veterinarian Technician program at Oulton College in Moncton. Her parents are Stephen and Joni Bryenton of Doyle's Brook near Chelmsford. Four high school students at Blackville School received a CUTE award (Creative Use of Technology in Education) for their photo essay "Jessa the Jumping June Bug." Amelia Underhill, Tanisha Hallihan, Madison Gillespie, and Mackenzie Jardine were the recipients of this award on April 9 at the CUTE Awards Ceremony at James M. Hill Memorial High School. Three other students were also recognized as finalists in the photo essay category at the ceremony for their video on "Nature." They are Mikayla MacDonald, Eve Pond, and Abby Keenan. Recently the proceeds from Blackville Home and School's many fundraising events were put to use by purchasing new furniture for the library. Along with the new furniture consisting of a couch, love seat, and a chair, there are 6 bean bag chairs for the elementary and a very nice rug.